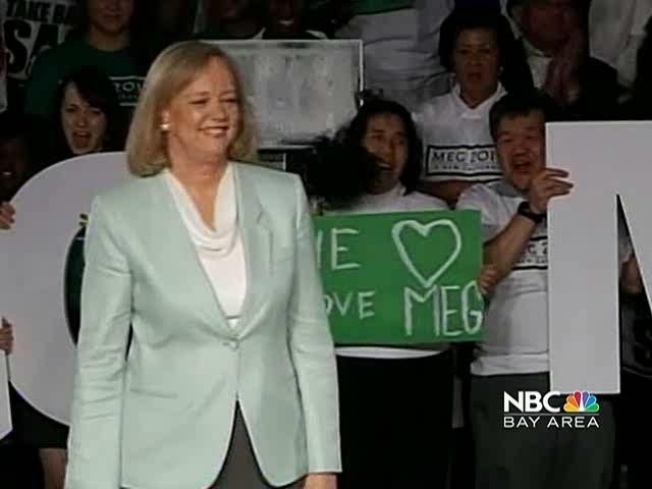 Meg Whitman is a Republican. So is Arnold Schwarzenegger. But she wants to make sure you know that just because they're in the same party doesn't mean they'll govern the same way. Whitman, the GOP nominee for governor, highlighted her business acumen Friday. "We haven't tried someone whose knowledge of the economy is greater than anyone in this race," she said.